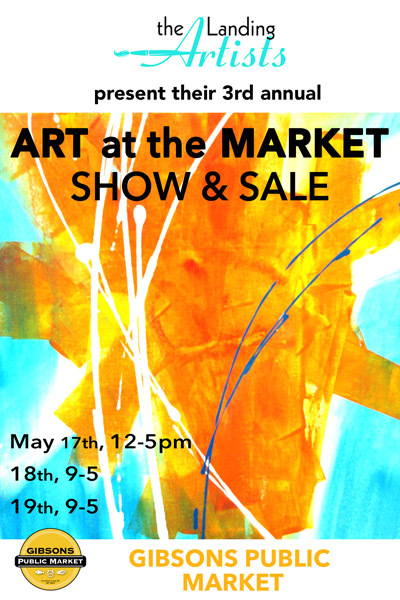 Come see new work by me and my fellow Landing Artists at our May show at the Market! That’s one of my new abstracts on the poster—I’ll have lots more and a new ‘paint-on-demand’ service to share! I’ll be on site all three days—hope to see you there.